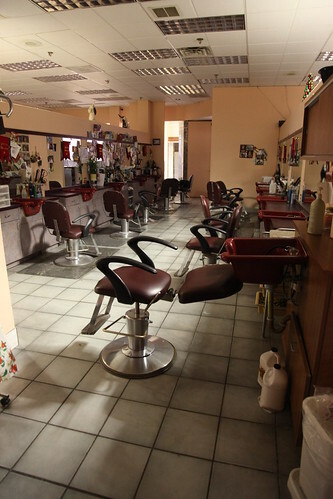 I have to admit, I got a little nervous once I stepped inside, worried that there was some off-chance that someone that gave a damn about the hair salon was nearby. Of course I was just tripping balls, but I spent a good few minutes at the back of the store standing still, listening carefully for any signs of nearby activity. With nothing to report, I snapped this shot and carried on.